London's vibrant and burgeoning tech startup community continues to concept, design and deploy new and exciting technological innovations. As Europe's fastest-growing startup community, some of the most successful startup founders have chosen this city to scale their businesses. With access to the world's top tech resources, programming and more, there is no better location to grow. Moreover, the city is home to some of the world's top colleges and universities including Imperial College, King's College, and Brunel University. As such, London continues to produce some of the world’s brightest tech talent. Additionally, even in light of the United Kingdom's decision to leave the European Union (EU), London’s unique tax incentives help startups grow and flourish. "The United Kingdom has passed laws guaranteeing extremely significant financial incentives to private investors who back early-stage companies," says Inc. Contributor Paul Grossinger. "These new incentives are more generous even than US Federal Tax law, and rival certain US state programs that have proven very effective in driving startup and innovation investment." Today, our schedules fill up with after-school football matches, parent-teacher conferences, doctor appointments, and more. The fact is, we simply don't have time to cook dinner. In recent years, many companies have attempted to solve this problem. 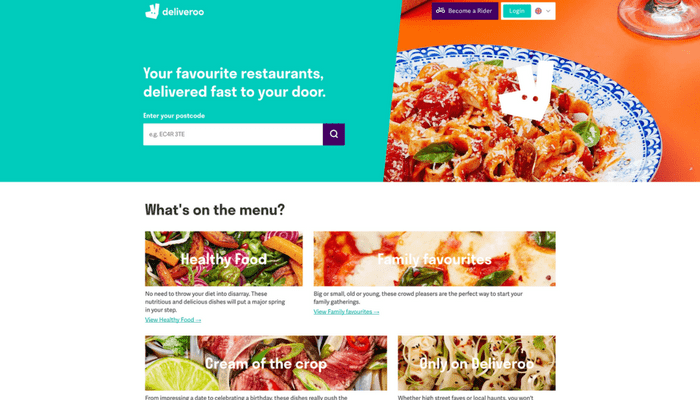 London-based Deliveroo has developed a fresh take on food delivery by partnering with top restaurants to provide consumers with dishes from their favorite restaurants. With thousands of available choices and a fleet of delivery riders, Deliveroo promises to have your order to you in just 32 minutes. Deloitte recently named Deliveroo Europe's fastest-growing tech firm. In fact, Deliveroo has raised more than $860 million, unleashed a team of more than 15,000 drivers, and employs upwards of 600 staff. “I remember how excited I was carrying out our first delivery," said Co-Founder and CEO, Will Shu. "I hoped that people would love being able to order great food from their favorite local restaurants straight to their front door. I am proud that just four years on, millions of people use Deliveroo in over 150 cities around the world." Recent News: Deliveroo recently raised $385 million in new funding, taking their total valuation to more than $2 billion. The company plans to use the Series F funding to hire additional tech support, expand into more countries and grow their all-new pop-up kitchen program. MoveGB is one of the fastest-growing fitness companies in the world. 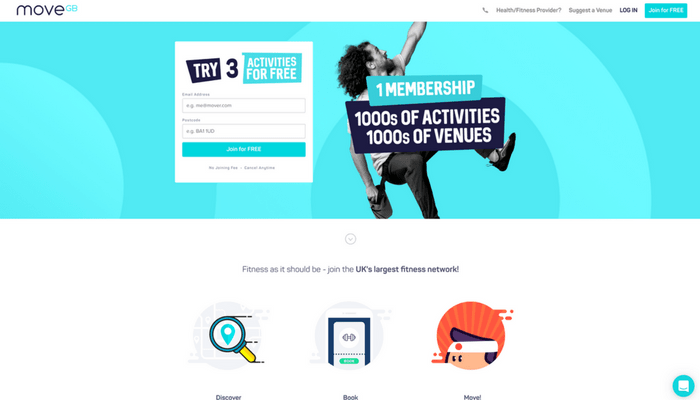 Members can access over 35,000 workout activities at 5,500 venues across the United Kingdom. The platform is used by more than 200,000 members and 3,000 providers including rock climbing gyms, fitness studios, and many others. The pillars of MoveGB are convenience, variety, movement, and lifestyle. Users can choose from several membership levels and activities to fit their unique needs and budget. "We created MoveGB to provide the variety people need to have fun and stay active for life," said Founder and CEO, Alister Rollins. "We've become one of the fastest-growing fitness movements in the United Kingdom and our aim is to continue to provide customers with the best activities and the highest level of customer service to ensure they stay active for life." Recent News: MoveGB was recently named the third fastest-growing tech startup in the United Kingdom. Are you ready to achieve massive startup growth? Learn how the world's leading tech startups use community to scale. For more insight, check out the Power of Ecosystem. A cook-at-home food subscription service, Gousto delivers all the ingredients customers need to craft wholesome, flavorful, and reasonably portioned dishes from the comfort of home. 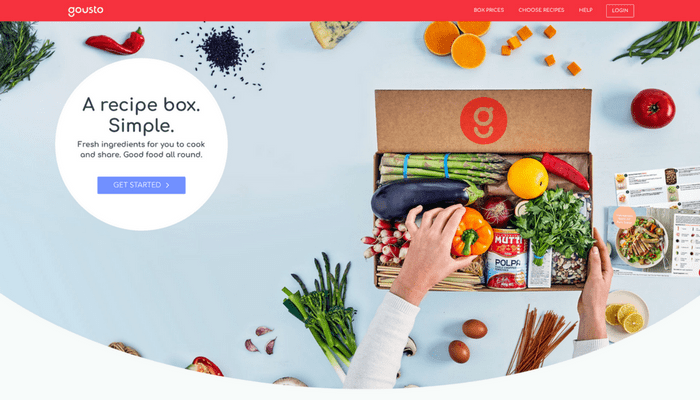 What makes Gousto different from the competitors? For starters, Gousto allocates 10 percent of engineers' work schedules to "creative development." Many of these side projects have gone on to become fully functional tools, including the company's new Alexa add-on. The device now provides step-by-step recipe instructions, allowing users to cook "hands-free." Gousto has also made significant investments in data science. The result? Gousto has achieved 600 percent growth in just two years. "As we are the leader in recipe choice, we also lead in data capture which means our menus self-optimize over time, and we truly have a data advantage over the models that don't capture info on customer preferences," said Founder and CEO, Timo Boldt. Recent News: Gousto recently raised an additional £10 million in funding. The startup plans to use this new capital to improve customer experiences and reduce food waste. Hibob is a cloud-based HR and benefits platform that transforms the way modern businesses understand, interact with, and manage their talent. The software includes many of the primary HR administrative tools one might expect and places additional emphasis on employee engagement. With Hibob, employees to declare and view individual interests and start new groups around those interests. Recent News: Hibob recently raised 17.5 million in Series A funding. The home buying process can be challenging. Nested eliminates the uncertainty of the entire process by handling valuation, marketing, and other services typically provided by real estate agents. 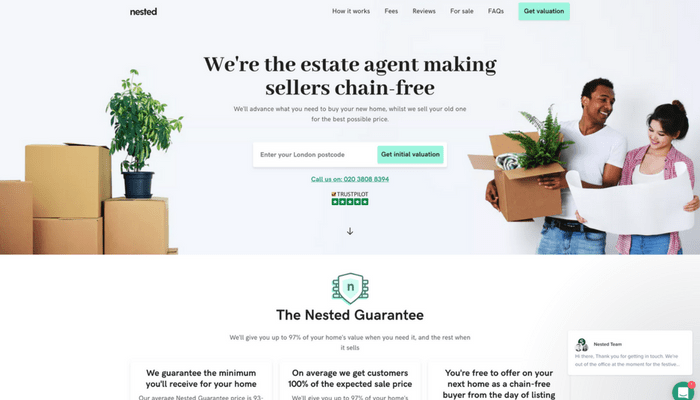 Furthermore, Nested promises to sell your house within 90 days or buy it! Since 2016, the London startup has attracted a significant following of homeowners and buyers. They provide up to 95 percent of your home's value in the form of a cash advance. This unique model gives homebuyers the capital they need to purchase a new home before they've sold their old one. This year, Nested plans to sell 50 houses per month on average. Additionally, the company plans to achieve £10 million in annual revenue. 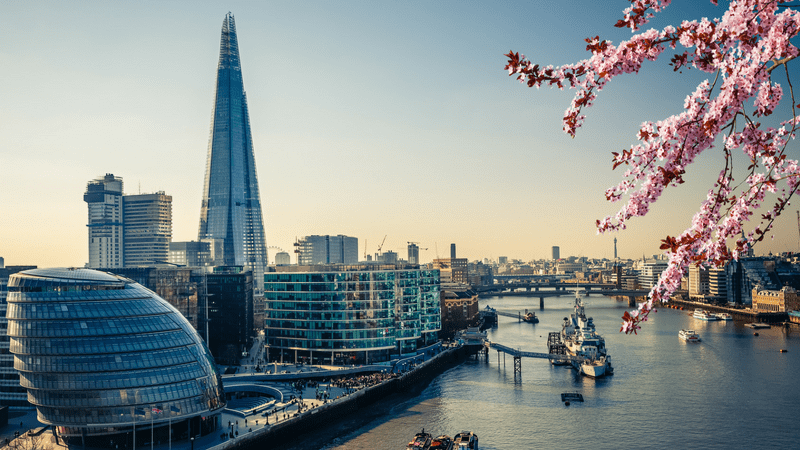 Based on current demand, Nested anticipates taking over one percent of London home sales in 2018 and five to ten percent of the total market in 2019. Recent News: Nested recently raised £36 million in funding. Nested plans to use the new capital to grow aggressively in London and expand across the United Kingdom. The London startups on our list share a few characteristics. Each achieved rapid growth by identifying a specific problem within a large market segment and created an ideal solution consumers were eager to pay for. All of them made smart hiring decisions, attended networking events, and grew their companies in an optimal work environment. Are you ready to grow like the industry's best? 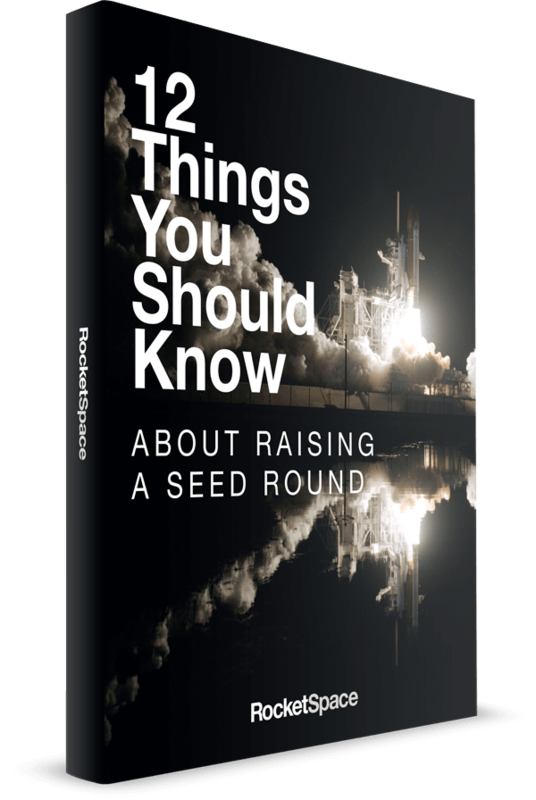 RocketSpace has supported 18 tech startups in achieving billion dollar valuations. 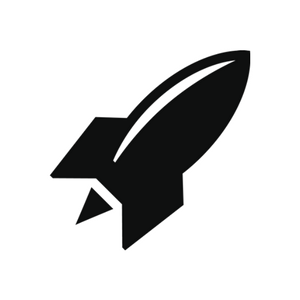 With access to growth-oriented amenities, programming, introductions to top venture capitalists, and more, RocketSpace is London's premium coworking community for tech startups. Whether you're brainstorming in a meeting room, collaborating with other startup founders, or relaxing in our nap room, our unique spaces help you build great ideas. 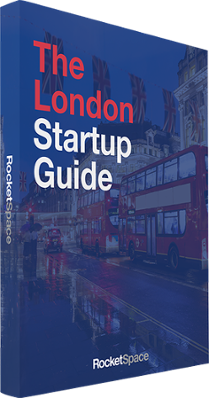 Steps from London's Angel Tube Station, RocketSpace offers all the resources you need to take your startup to the next level in 2018. Ready to scale? Try a FREE Day Pass!